Comedy and music legends, six resident Cirque du Soleil productions, classic Las Vegas show girl revues, and more are here for your pleasure. 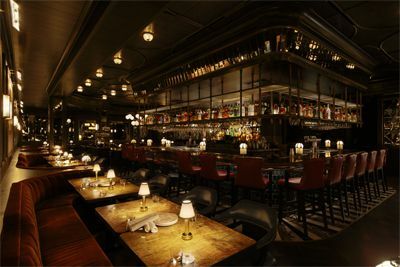 From elaborately themed clubs to the new wave of upscale “ultra lounges,” you can experience a variety of night spots. For the golf aficionado, the sixty-plus golf courses in Las Vegas, designed by top golf pros, have put Vegas on the map. Popular courses include Topgolf Las Vegas, Las Vegas Paiute Golf Resort, Bali Hai Golf Club, and Royal Links Golf Club. 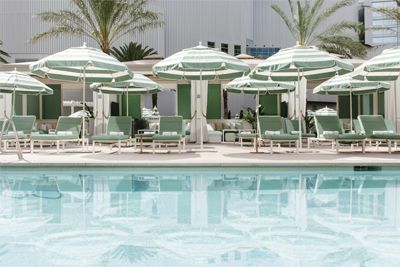 If you want to unwind, Las Vegas offers the most luxurious and varied spa experiences and pools to be found anywhere. Qua Baths & Spa at Caesar’s Palace, Canyon Ranch SpaClub at the Venetian, The Spa & Salon at Aria—wherever you choose to relax, stress doesn’t stand a chance. Also, stop by the Bellagio for a superb Botanical Garden experience where radiant colors dance in creative flower displays that will captivate young and old. Las Vegas has become one of the premium world-class shopping destinations in the country with specialty stores sporting Prada, Gucci, Dior, Chanel, Jimmy Choo and so much more. Budget-minded shoppers will delight in the outlet malls both north and south of downtown, easily accessed by bus. 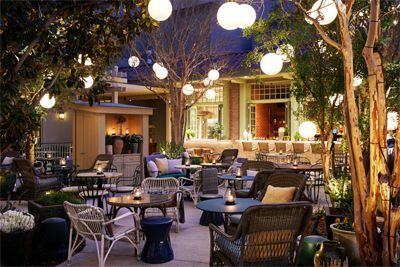 A new Las Vegas resort from MGM Resorts & Sydell Group, featuring a collection of restaurants, bars and shops, Eataly and more. Located in the heart of The Strip, Park MGM is excited to introduce you to a new kind of Las Vegas experience. Park MGM offers guests direct access to what is quickly becoming the city’s premier entertainment district, featuring the newly opened T-Mobile Arena and The Park. Guests will enjoy the easy flow and accessibility throughout casino and meeting space, three distinct restaurants, 24 hour fitness center, full service concierge, complimentary tram to Aria & Crystals at City Center, Bellagio and Vdara and more. 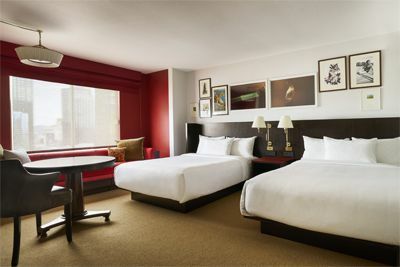 Guest rooms offer a blend of modern and classic design, each with a curated art gallery and plenty of space to entertain. This course is designed for physicians, certified registered nurse anesthetists, physician assistants, nurse practitioners, registered nurses and other healthcare providers who must maintain knowledge about the legal implications of practice in healthcare. This is a legal risk management course designed to update anesthesia providers on the various legal issues that may be encountered and provide practical information for use in practice. Healthcare and law intersect on many different levels because of the complexity of federal and state regulations and a multitude of state laws regarding malpractice, contracts, and other areas of risk. There are legal implications to almost every aspect of healthcare, and therefore, the importance of a general understanding of the substantial legal risks inherent to practice in healthcare cannot be overemphasized. Courses in Health Law are traditionally absent from training curricula in the healthcare professions. This course will provide a concise overview for anesthesia providers and will be presented by an experienced anesthesia provider who has more than ten years of experience as a practicing New York attorney concentrating in healthcare law. Discuss the notions of liability and evidentiary burden. Discuss how a lawsuit is commenced, what it means to ‘be served’ and the importance of a timely response to the outcome of a case. Discuss the importance of the type of malpractice insurance carried and the pitfalls that may be encountered. Explore the implications of risk management, apology and disclosure, mortality and morbidity discussions, and quality reports. Discuss what a contract is and is not, including legal terms and how they pose risk to the provider. Discuss why state boards and staff credentialing can be far more damaging to the healthcare provider than a malpractice suit. Discuss how Human Resource Law is an evolving area of risk to all providers. Discuss various federal regulations, provider risk and plan for compliance. Disclaimer: The materials presented in this seminar are for educational purposes only and do not and must not in any way be construed to provide legal advice. There is no tax or accounting or investment advice offered in this seminar. Participants understand that the intent of this purely educational seminar is to gain an overview of legal topics which may be relevant to their professional practice. Participants understand that laws differ among the U.S. states and individual state laws will not be reviewed with particularity. Participants are directed to seek their own legal counsel for advice on any and all legal matters. The presenter reports no conflicts of interest. The A. Webb Roberts Center for Continuing Medical Education of Baylor Scott & White Health designates this live activity for a maximum of 8 AMA PRA Category 1 Credit(s)™. Physicians should claim only the credit commensurate with the extent of their participation in the activity. Physician Assistants: The American Academy of Physician Assistants (AAPA) accepts certificates of participation for educational activities certified for AMA PRA Category 1 Credit™ from organizations accredited by ACCME or a recognized state medical society. Physician assistants may receive a maximum of 8 hours of Category I credit for completing this program. Registered Nurses: NWAS is an approved provider for the following state nursing boards: Arkansas State Board of Nursing (Provider Number 50-7480), California Board of Registered Nursing (Provider Number 4833), District of Columbia Board of Nursing (Provider Number 50-7480), Florida Board of Nursing (Provider Number 50-7480), Georgia Board of Nursing (Provider Number 50-7480), and the South Carolina Board of Nursing (Provider Number 50-7480). This program offers 8 contact hours. $100 December 5, 2019 to January 4, 2020. No refund after January 4, 2020; however, 50% of tuition paid may be applied toward tuition for another NWAS program within the next 12 months. Cancellation must be made in writing.